Namibia is Botswana’s western neighbour, and the two countries share a large portion of the Kalahari Desert although Namibia does not have the water supply that Botswana has, making the latter far superior in wildlife density. The only small exception to this is a narrow stretch of land that protrudes from Namibia’s northeast corner known as the Caprivi Strip. 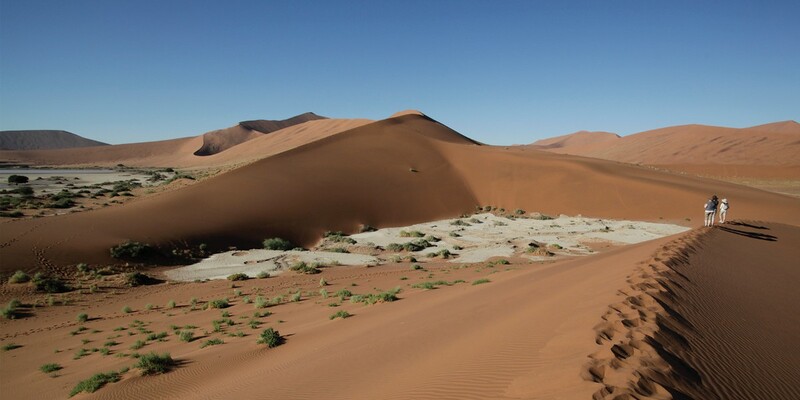 Being mainly desert, Namibia is not the right choice for those wanting to see the “big 5” on their first safari experience, yet it does offer the chance to see some unusual desert–adapted creatures like oryx, brown hyena, black rhino and the famed desert elephants and desert lions. Both countries are equally rugged and remote with a low population density and a rich cultural heritage, but when it comes to spectacular landscapes, the immensity of Namibia’s panoramic views are hard to beat.